The Easter holiday saw the first collaboration bweteen myself and Henrietta Szovati, a personal and professional development coach at Barefoot Institute. I had a class of children age 7-12, and delivered a series of workshops which included learning about Islamic geometry, Islamic architecture from around the world, geometry in nature and drawing floral motifs. Being in the mosque itself was great as it meant we could look at the actual interior architecture and design of the building, and discuss the patterns that adorned the mihrab, minbar, and main prayer hall space. 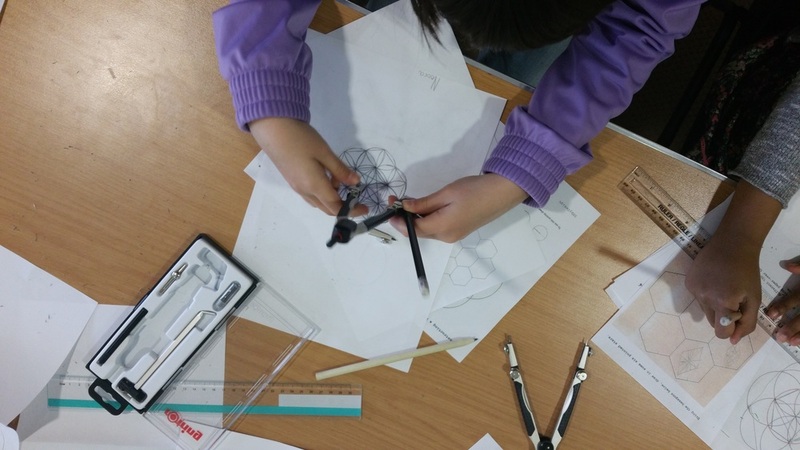 We then moved on to designing, and each of the children designed their own patterns and motifs. These were then carved onto polystyrene blocks, and used to print the childrens' own travel prayer mats. And what fantastic results! Meanwhile, Henrietta ran sessions with the parents, which involved in depth discussions of creativity, parenting, left and right brain functions and neuroscience and heart centered education. It was the first time that we ran a course like this, but the feedback was so positive that we are definitely looking to run it again, and try out lots of new and wonderful approaches to heartsmart education. "This class was brilliant and I loved it. 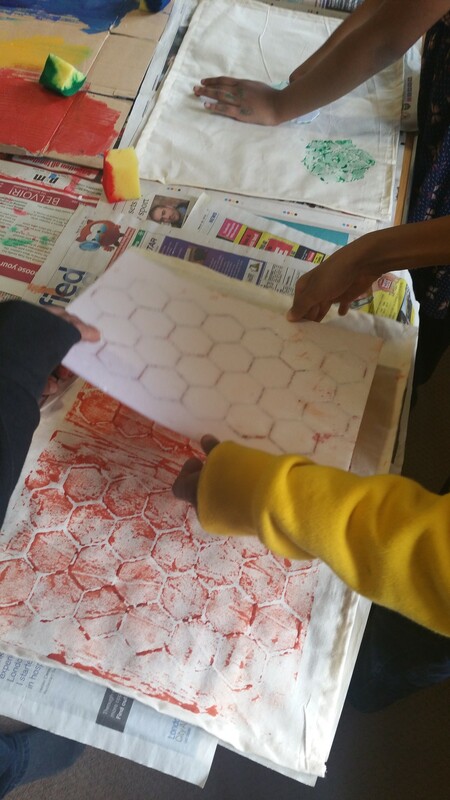 I also enjoyed learning how to draw patterns." Umaima, age 7.